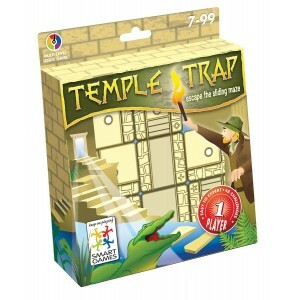 Temple Trap by smart games, don't go the wrong way or you will a be crocodile dinner. Can you escape the maze while the walls shift. Temple Trap uses logical thinking, strategic planning and visual perception skills. 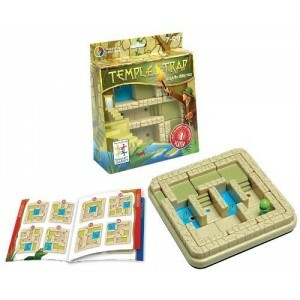 Temple Trap has 48 challenges over 48 different levels and comes with free delivery.